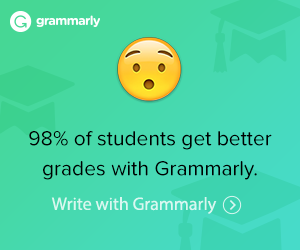 Designed to be self-taught—Your student will read the material and complete the lessons. Written in a conversational style directly to the student—Parent or teacher should be available to answer questions. Book 2 is used for 7th or 8th grade depending on your student’s skill level—Take this course the year before your student starts Algebra 1. Lays the groundwork for geometry and algebra—Prepares students for upper-level math in a logical, step-by-step way. 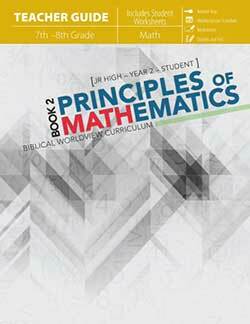 Prerequisite: Completion of Principles of Mathematics Book 1. 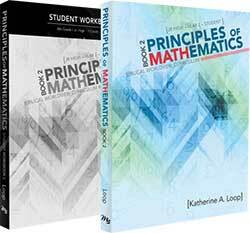 The Principles of Mathematics Year 1 Curriculum Package consists of one of each of the following books. 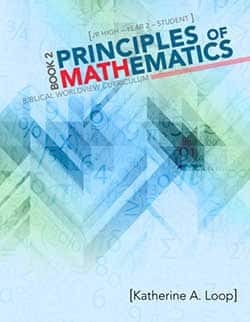 Focus on the essential principles of algebra, coordinate graphing, probability, statistics, functions, and other important areas of mathematics. Work independently by reading the text and completing the assignments. Suggested Schedule—With flexibility for completing the material in one year or one semester. Answer Key—Answers for the worksheets, quizzes, and tests.